Peter Meyer instructs students during his class. There are three ceramics classes that are offered: wheel throwing, beginning handbuilding and intermediate ceramics. 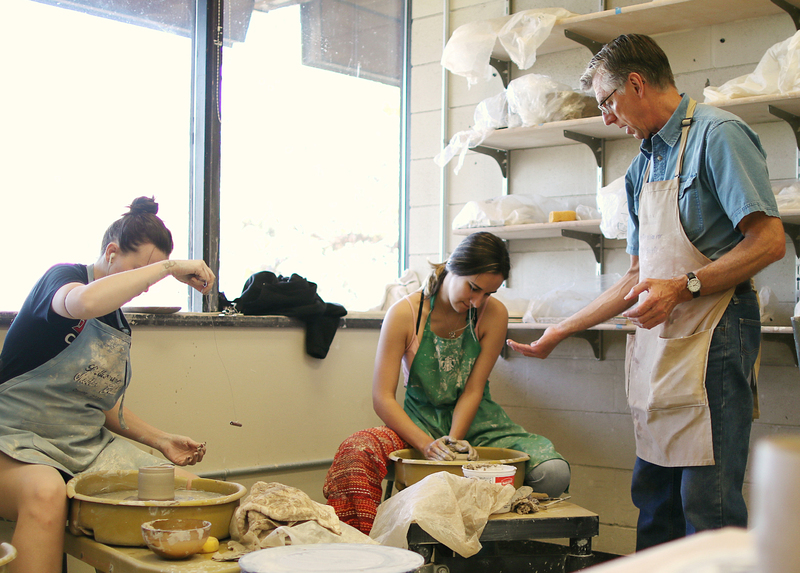 After 20 year of influencing and contributing to the art community in Central Oregon, Peter Meyer is retiring from his love of teaching ceramics. From embracing summer by bringing his art to sell at the Oregon Country Fair, transforming the ceramics curriculum, to showing his work in gallery in Yachats, Meyer has left his mark on the art community in Oregon. Bill Hoppe, professor of art, has known Meyer since 1999. “My first impression of him was that of a true gentlemen, a dedicated teacher, a rye midwestern kind of sense of humor, and he has a great laugh. He’s always dressed well too,” he said. “As a kid I used to always wanted to make things. I always had my hands in something. Digging holes, playing with materials in different ways, motors, machines, all that stuff,” Meyer said. “It’s so hard to not do more. It kind of goes against our tendencies to not do it when the students are eager,” Meyer said. At the University of South Dakota, Meyer earned a BFA in ceramics and printmaking and then continued to graduate school at the University of Oregon. Hoppe said that in the art department, Meyer establishes a standard of behavior and that he thinks that he is the confident in the department. 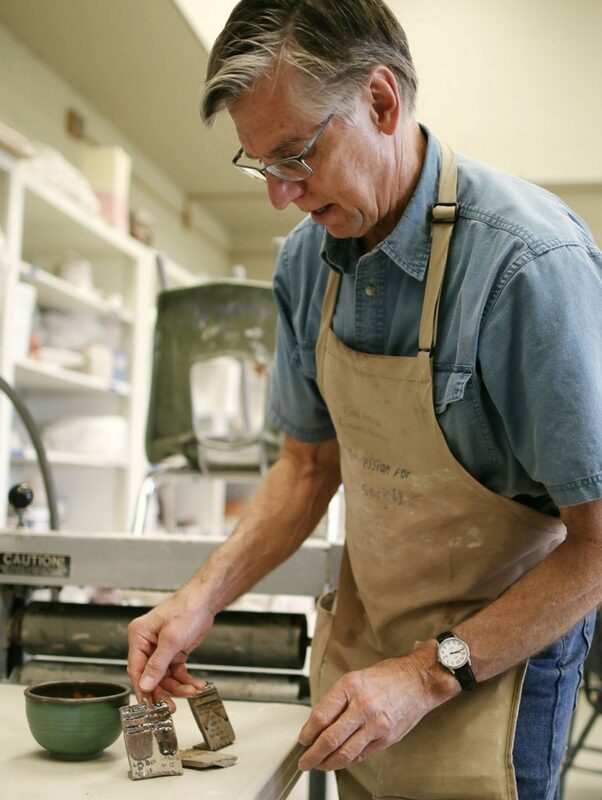 In retirement, Meyer plans to keep making pottery and expand his continual studying that he has been conducting with the local materials in Oregon that can be used as glaze materials. Alongside his wife, he wants to continue to travel the northwest, hike, cook, and keep making his art.